This is a confidential support group for abused women. you probably carry hidden scars that can last a lifetime. In S.H.O.U.T. groups we offer healing from this damage. Study materials help us learn the truth, which we share and process in this safe setting. In S.H.O.U.T. we meet others who are on this same healing journey so they understand our struggles. We no longer carry our burden alone. In S.H.O.U.T. we reach out to God, Who offers healing and empowerment that goes far beyond what we could accomplish without His help. WHAT COUNTS AS SEXUAL ABUSE? In the past our understanding of sexual abuse was limited. We thought of it only as direct physical/sexual contact. Now we understand that sexual abuse can take many subtle forms: physical, visual, emotional, verbal. It can be direct or indirect; it can happen once or repeatedly. Whether it is forced or the victim “cooperates,” it is still abuse. It can be one abuser, or many. No matter what form it takes or what age the person was when being abused, the damage it causes affects our relationships, our health, and our beliefs. 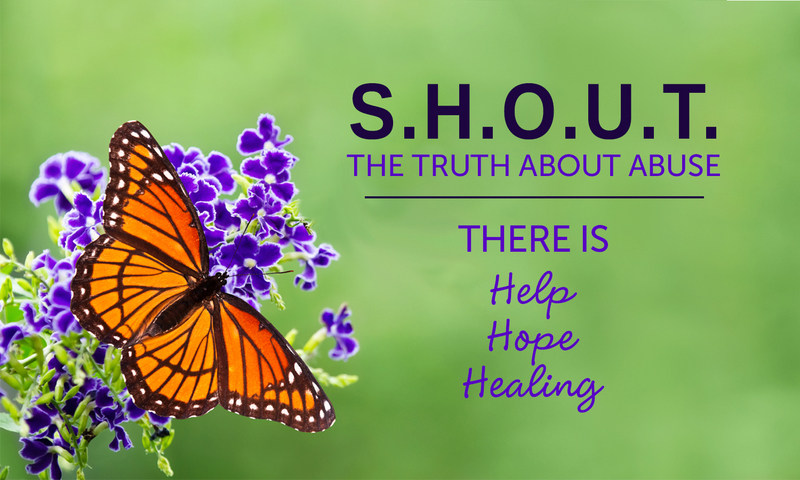 If you or someone you know has experienced unwanted sexual contact or other forms of abuse, whether physical, visual, emotional, or verbal, the S.H.O.U.T. program can help you find healing and new life. You don’t need to live with false shame and guilt, fear, anxiety, or self-blame any more. S.H.O.U.T. is a Christ-centered recovery program for women who long for healing from past trauma. We believe that this safe, supportive environment will free you to begin your journey toward understanding and healing from past sexual abuse. Sheri Fornell 734-536-7131 or send email to sfornell@twmi.rr.com to learn more about S.H.O.U.T.